It’s hard to imagine that Italy was ever anything but the centre of fashion life. After all, designers like Valentino, Prada and Dolce and Gabbana are world renowned, and thousands of people flock to Milan fashion week. Italian fashion stands for classic beauty and sleek luxury. But in fact, Milan Fashion Week was only established in 1958, and before about 1940 the country, although filled with fashion hungry denizens, struggled to make Italian style its own thing. Not that it didn’t try. In the early years of the 20th century and even before, Italian women (just like the English) were enamoured of French fashion. In fact, Fashion = Paris and that’s all there was to it. If you couldn’t travel to Paris to visit a couturier yourself, no problem. Dressmakers simply bought or stole the Parisian ideas and patterns to copy in Italy. 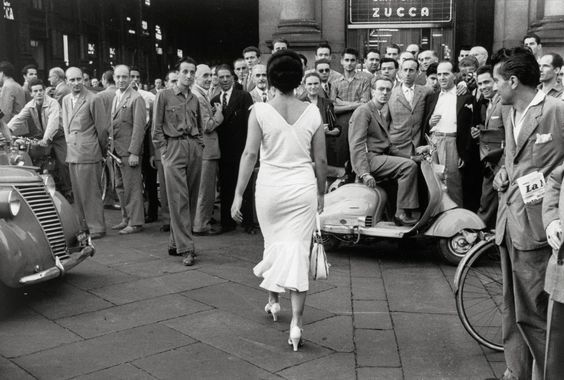 Editorials in Italian newspapers had decried this tendency since at least 1947 when a patriotic “Italian-style dress” was proposed by Luigi Cicconi in Turin’s Il Mondo Ilustrato newspaper. He insisted that the costume be made of velvet, an artisanal Italian fabric, and not only that but those fancy French names that fashion details were known by had to be abandoned and Italian terms substituted. His insistence led precisely nowhere. 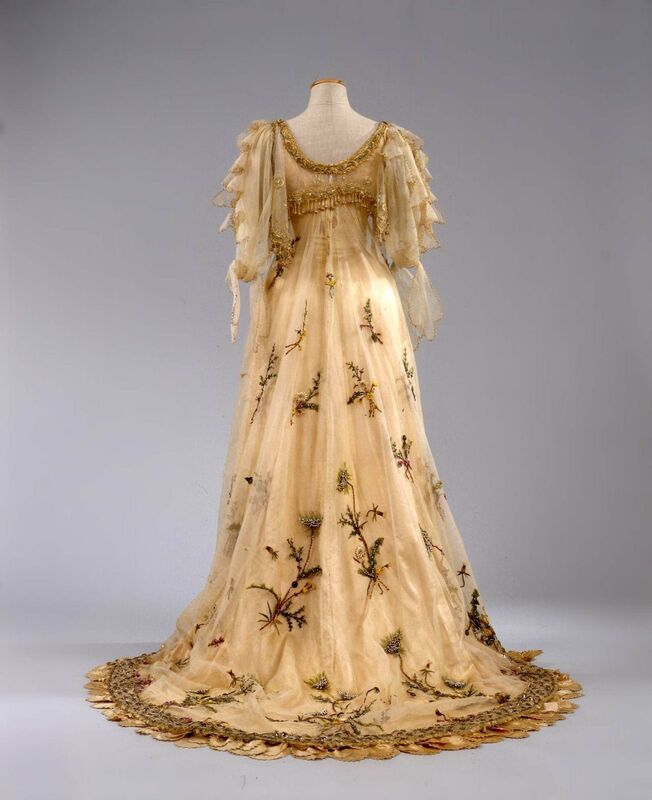 In 1872, the Italian Society for the Emancipation of Fashion was formed. The magazine L’Emporio Pittoresco eagerly took up the cry, declaring a rebellion against French fashion. Italian style should be created by Italian designers. But not many people wanted to join the chorus. “Spring” by Rosa Geroni. Image via Pinterest. Wax figures at the Turin International Exhibition of 1911. Image via CTG publishing. 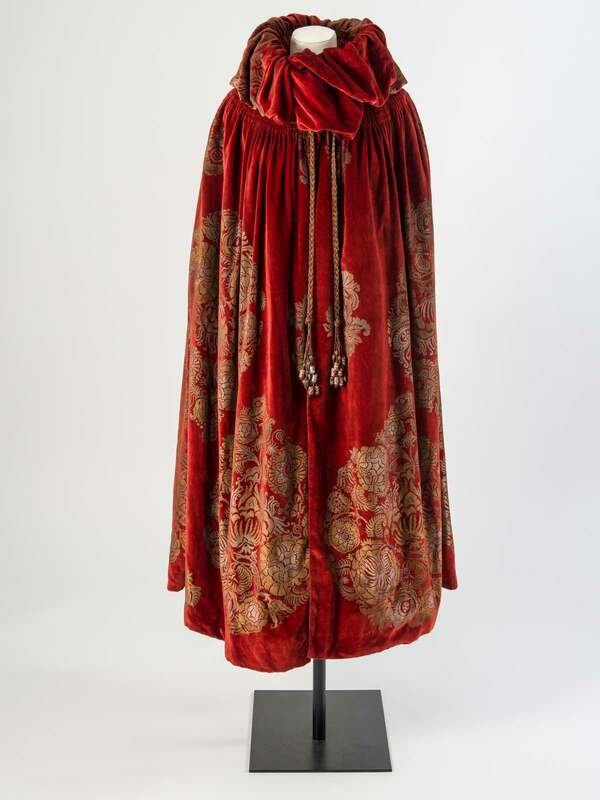 At the International Exhibition held in Milan in 1906, a dressmaker called Rosa Genoni has more success by exhibiting dresses based on outfits in Italian Renaissance masterpieces. She used only Italian textiles to create the collection, which the jury awarded first prize. 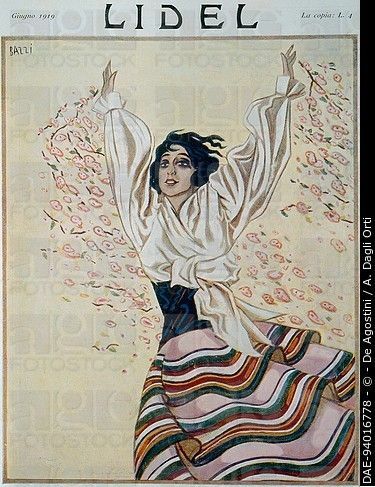 Cloak by Maria Monaci Gallenga, c.1923. Image via WordPress. But still there were very few purely Italian designers. Mariano Fortuny, of course, was a complete original who just so happened to be Italian, and following after him Maria Monaci Gallenga (1880 -1944) built on his techniques, whilst Rosa Giolli Menni (1889-1975) developed batik techniques for clothing and soft furnishings. Gallenga supported the National Body for Craft and Small Industries in promoting the image of Italian products. She also opened the Italian Art Workshop in 1914 which was a shop and art gallery where she sold her own designs and showed work by other artists. A subsequent space, the Boutique Italianne was opened in Paris in 1928 (closing in 1934) to do a similar job in France. Thayat’s Tuta. Image via Pinterest. The Futurists were a group of artists who included clothing in their mission to destroy the old way of life and overcome boring tradition, looking towards the glittering future as the name suggested. The founders, Giacomo Balla, Fortunato Depero, Thayat (Ernesto Michahelles)and Tommaso Marinetti’s aims were to reflect the dynamism, energy and speed emblematic of modern times. In Ballo’s Futurist Manifesto on Menswear of 1913 he banned “all faded, sweet, neutral, strange, dark colours… striped, diplomatic prints and symmetrical cuts.” The Futurists were extremely keen on producing Manifestos, and some of the titles included Manifesto for the Transformation of Menswearand The Futurist Manifesto on the Italian Tieas well as Aesthetics of Dress: Solar fashion, Futuristic Fashionand Against Female Luxury. Due to the economic crisis prompted by the First World War the Futurists suggested that cheap materials such as glue, card, tin foil, hemp and fish skin should replace jewels, silks, velvets, perfumes and furs. 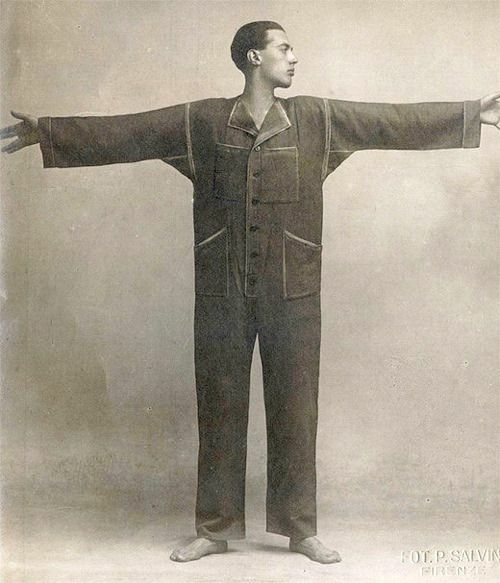 To this end, in 1919 Thayat invented the Tuta, which is basically a pair of overalls designed for either gender. This streamlined dressing, and of course was very modern in being unisex. However, since it was produced in dark navy or grey and certainly of a symmetrical appearance, it contravened Ballo’s manifesto in several ways. However, it did appropriately abandon luxury. Thayat managed to do an about turn, however, that same year when he went on to work for luxury French designer and brand Vionnet. He created her famous logo and many successful clothing designs. Lidel Magazine cover. Image via Pinterest. On the 16th of March 1919 the first National Congress on Clothing was held in Rome under the auspices of the Ministry for Industry and Commerce. “Given that we do not lack either appeal or good taste… We need to try and establish our country within the orbit of the radiating centres of fashion and clothing,” the report concluded, adding an outline for the structure of the “National Institute of Clothing”. In May 1919, the luxury magazine Lidel was launched. 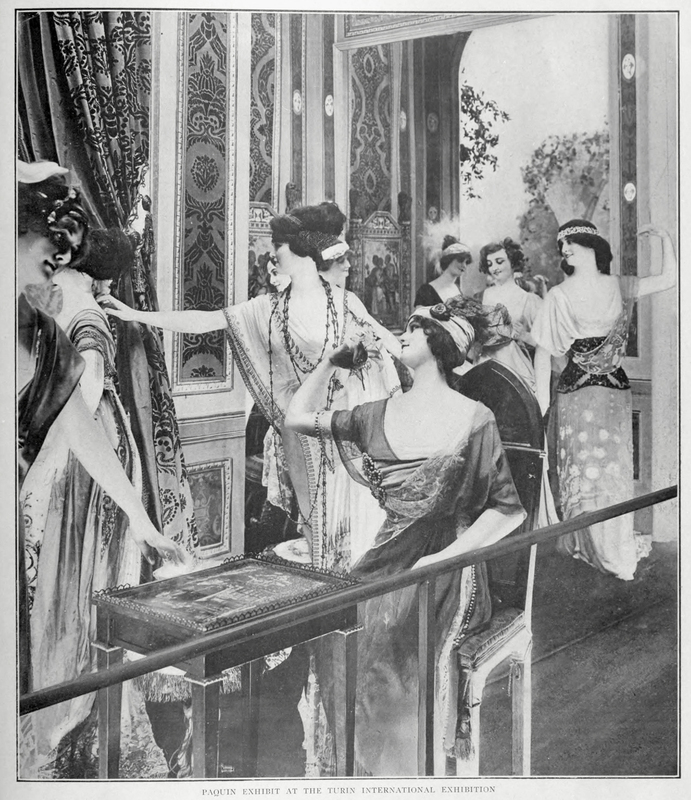 It supposedly represented the “Will of a woman’s mighty heart, turning to the best of Italian women to help them appreciate all our beautiful and noble things, encouraging all our artistic creators in favour of our own style of fashion.” However, the magazine was rather inconsistent in its message, shortly after carrying an anti-luxury campaign with the slogan “Do not buy”. When the National Fascist Party came to power in 1922 they had marked ideas about fashion. The Fascist regime wanted fashion to be Italian only, and in addition had opinions about Italian women’s bodies, decreeing that they not be too slim as according to them it interfered with child bearing, which was a woman’s purpose in life. Magazines like La Donna, Lei, and Moda, the official magazine of the National Fascist Federation of the Clothing Industry, carried anti slimming campaigns. The Fascist technique was a little more aggressive what had gone before. The regime forced publications to omit the names of the Parisian designers whose work they were publishing and by 1937 only Italian designers were allowed to be featured. It did not stop wealthy women from buying publications like Vogue and Harper’s Bazaar which featured French fashions via Switzerland having the designs in them copied or buying direct from Paris. They only wore Italian fashion for official regime events. In 1932 the regime set up the Autonomous Body for the Permanent National Fashion Exhibition in Turin. The body was intended to nationalise the entire cycle of fashion, from design through production and marketing. It ran into problems from the beginning and never really got off the ground. 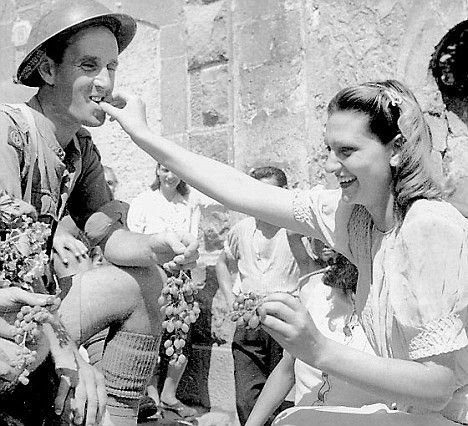 Wartime Italy. Image via Pinterest. But what really changed Italy’s mind where Futurism, Fascism, entreaties and good examples could not was war. During the Second World War, Paris was cut off from Europe and so Italian women simply had to buy Italian. There was nothing else. Actually there was not so much Italian fashion since rationing was in place, but those four years were the start a complete break with Paris and the emergence of a total Italian style. Gucci, Fendi, Ferragamo and Prada were established or rose in those years due to a refusal to let the shortage of materials affect them and an inventiveness with canvas, cork and even straw, materials which were quite alien to the luxury goods industries they were making their mark on. Post war Italy. Image via Pinterest. Although it had lacked originality in design, Italy had always had amazing craftspeople. This became it’s strength. When the war ended, Italy became incredibly popular with the Americans who newly discovered it due to both the American lead European Recovery program and also widening horizons, one of the only upsides of a war of this scale. American Fashionistas fell in love with the sunshine, the food and the reputation of Latin lovers. The film Roman Holiday of 1953 aptly sums all this up. In doing so, they also fell in love with, and spent all their dollars on, Italian fashion. Finally, it was on the way to it well deserved international triumphs.